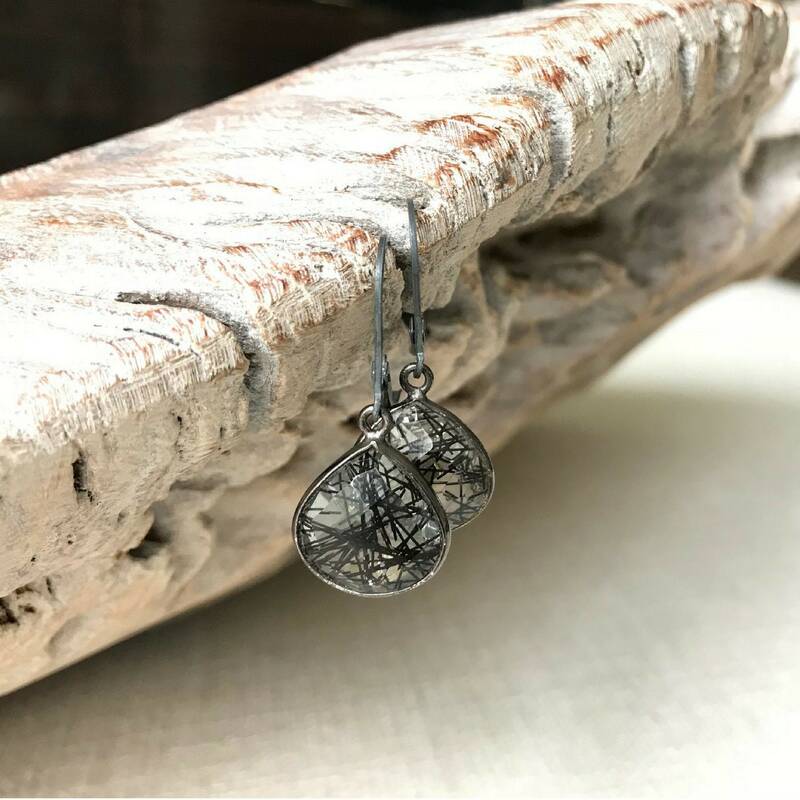 These beautiful faceted black rutile quartz bezels dangle from oxidized sterling silver lever backs. 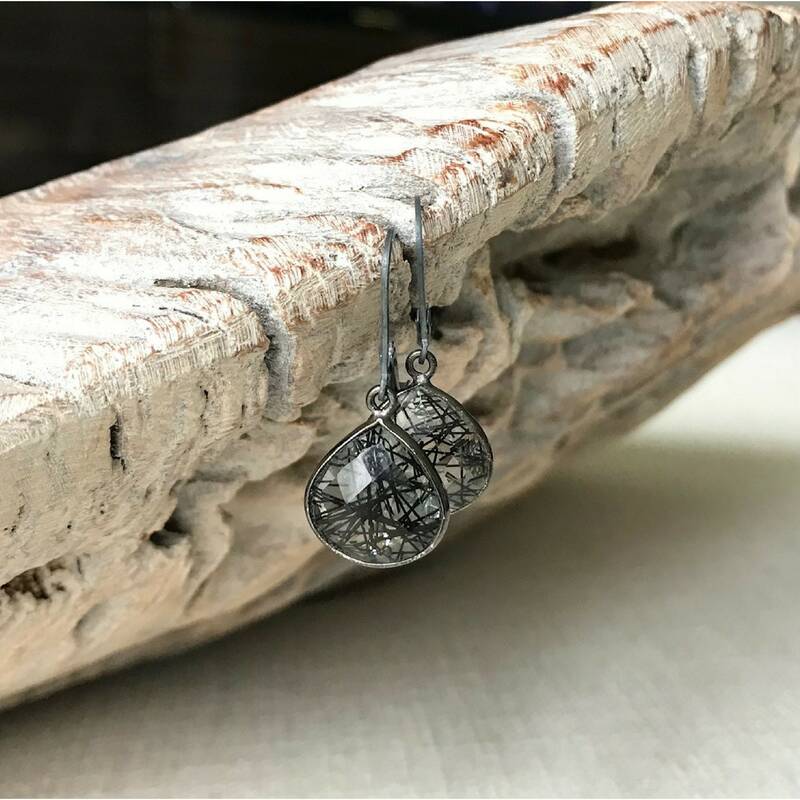 Black rutilated quartz is also known as tourmalinated quartz. 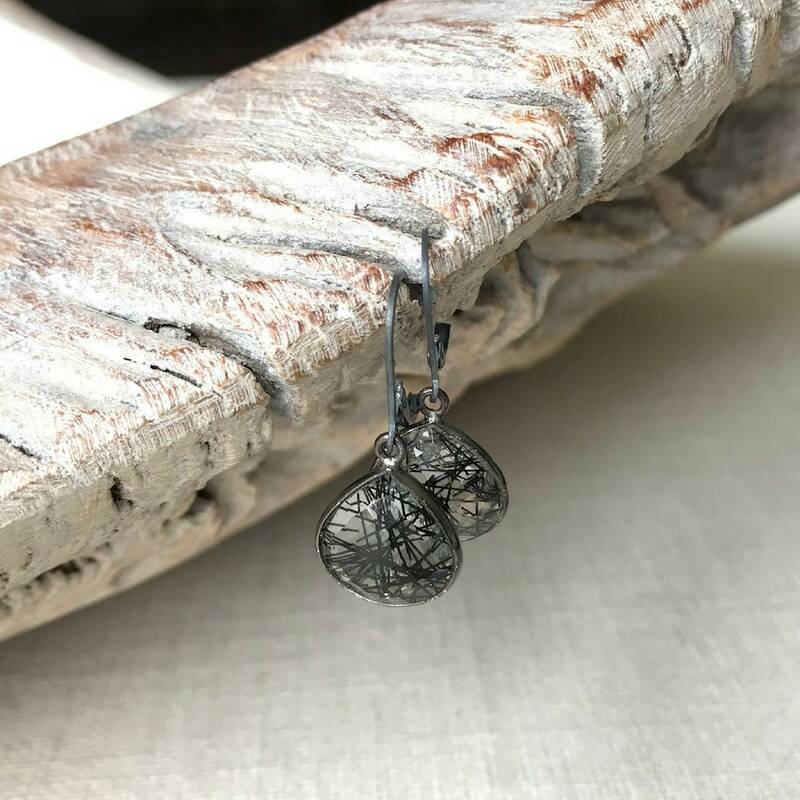 Simple yet elegant earrings that make a wonderful addition to any outfit. The earring measure approx 1.25" from end to end. The tourmalinated quartz bezels are approx 12mm.